Save 60% on your move today! It’s never been easier. Just give us the basic information for your next adventure and we’ll get you the information you’re looking for. Based on the information you give us, we will give you a ballpark estimate for your move. Schedule your visual moving estimates with your provided moving companies. Once you’ve picked one of our top of the line moving companies, give them your final details and get one step closer to starting your new adventure. You can schedule your in home moving estimates today and receive a ballpark estimate from your smartphone, tablet or computer. We are committed to making sure this process is simple and easy. Simply enter a few details and your information will be matched with the most suitable moving companies for your needs. 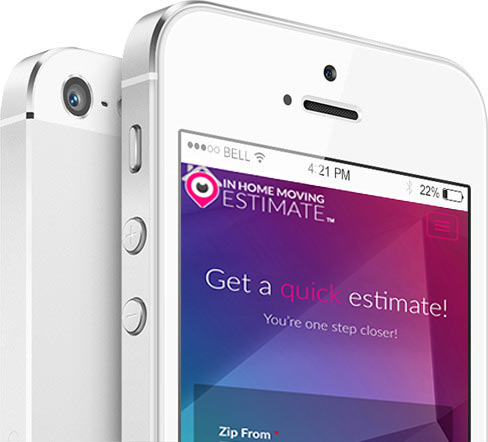 You can begin scheduling your in home estimates to determine your estimated moving costs. HOW IS MY BALLPARK ESTIMATE DETERMINED?